Cambodia is not alone in looking to China for assistance in her economic development as other nations within the Asean sphere of influence and beyond is also looking at Beijing to provide global leadership to help steer their economic future. 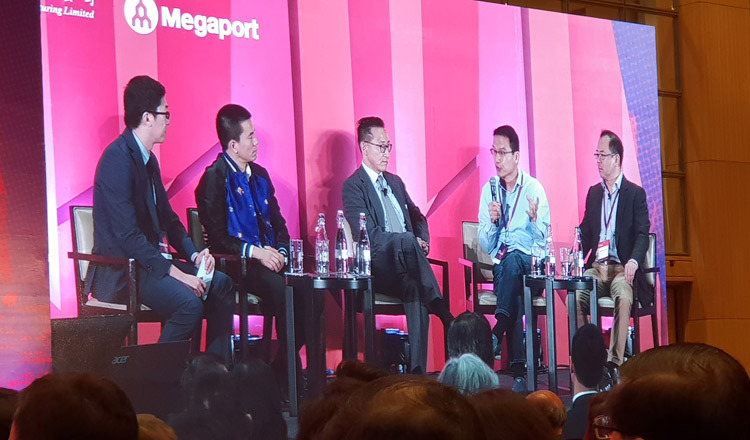 This was the main essence of a two day “South China Morning Post’s China” conference in Kuala Lumpur where the emphasis was on trade and bilateral relations with Beijing. China is currently Cambodia’s largest source of official development assistance (ODA) due to its inherent policy of not attaching conditions to aid, coupled with Cambodia’s need for quick infrastructure development to ensure sustained economic growth. 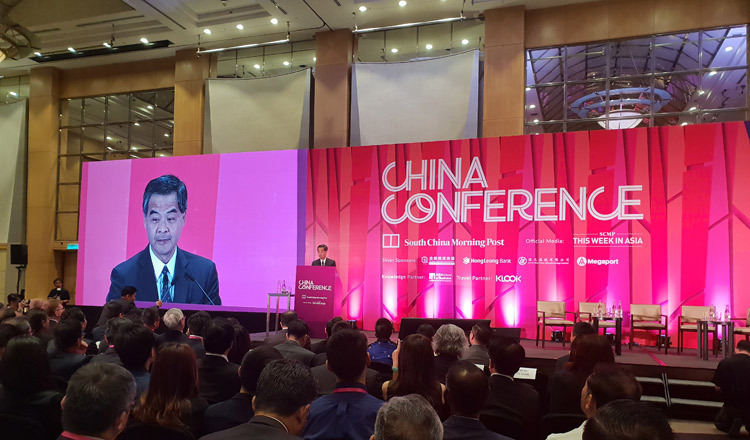 In his opening remarks, Hong Kong’s former chief executive, Leung Chun-ying said economic integration, now termed as globalisation could be reversed if there are too many restrictions placed on China’s trading partners by countries like the United States. He said the world needed alternate leadership and China could provide it within the boundaries of noninterference. “Be it Cambodia, Malaysia or any other Asean member countries or even Africa, these countries are not islands in so far as trade and bilateral relations are concerned. Globalisation has made it imperative for all countries to trade with each other, including with China and the United States. The choice therefore, was, to decide who offered better trade and aid benefits to the host nations,” Mr Leung said. 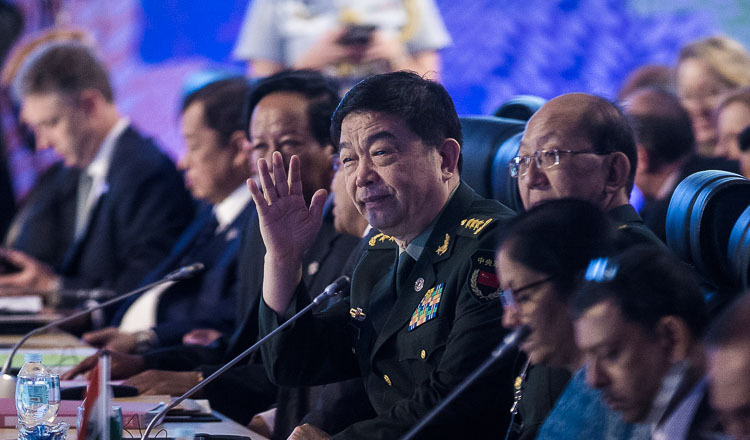 On the worrisome topic of regional and global stability, participants were given an insight how this stability could be easily compromised and become collateral damage, casualties of the trade war between the United States and China. “As competition in trade intensifies, so does the jostling for geo political prominence and in this aspect, if the trade war goes beyond the point of no return, beyond the rules of sanity, the possibilities of a geopolitical conflict which could affect regional stability cannot be ruled out as countries would then be put in a very unenviable position to take sides,” he stressed. Malaysia’s Economic Minister, Azmin Ali, when delivering the closing address at the conference said the Malaysian government would increasingly see China as a “country to learn from” as it sought to revive a decades-old “Look East” foreign policy first promoted by Prime Minister Mahathir Mohamad during his first stint in power. Datuk Norazman Ayob of the Malaysian Ministry of International Trade and Industry said the ongoing trade tensions between China and the United States gave Southeast Asian countries the impetus they badly needed to rapidly conclude the Regional Comprehensive Economic Partnership (RCEP), which has been in the works for more than five years. The partnership, when crystalised, will create the world’s largest free-trade zone with the 10 members of the Association of Southeast Asian Nations, China, India, South Korea, Japan, Australia and Japan. “This is an opportunity amidst a period of uncertainty as the need for the conclusion of this pact is now a matter of urgency. 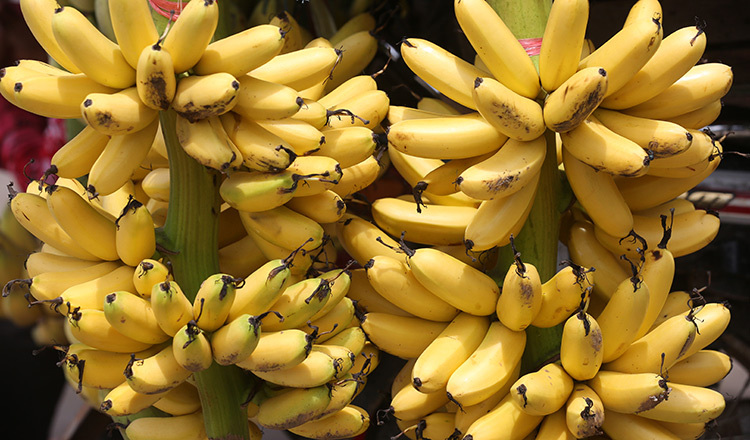 It will strengthen the member nation’s resolve and ability to weather the looming trade war, if it were to get out of control,” Datuk Norazman said. The RCEP was established to broaden and deepen the engagement among the 16 participating countries and enhance their participation in regional economic development. In August 2012, the 16 Economic Ministers endorsed the Guiding Principles and Objectives for Negotiating the Regional Comprehensive Economic Partnership. The RCEP negotiations were launched by leaders from Asean Member States (Brunei Darussalam, Cambodia, Indonesia, Lao PDR, Malaysia, Myanmar, the Philippines, Singapore, Thailand and Viet Nam) and six Asean FTA partners (Australia, People’s Republic of China, India, Japan, Republic of Korea, and New Zealand) during the 21st Asean Summit in Phnom Penh, Cambodia in November 2012.